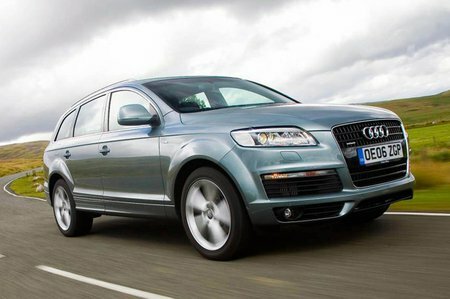 Used Audi Q7 Review - 2006-2015 | What Car? 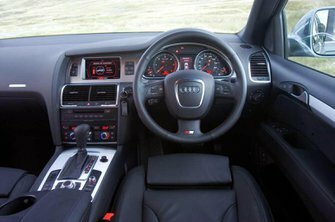 Which used Audi Q7 4x4 should I buy? Just two engine options were available at the car's launch: a 345bhp 4.2-litre V8 petrol and a 230bhp 3.0 TDI diesel unit. Both provide good performance and smooth delivery of power. A 276bhp 3.2-litre petrol model was introduced in 2007, along with a 326bhp 4.2 TDI diesel. In late 2008, a 6.0-litre V12 diesel producing a whopping 493bhp went on sale. In reality, petrol Q7s are rare on the used market, so looking for a diesel will be the sensible option. The number of 3.0-litre vehicles on the market makes them the best for running costs and resale values. 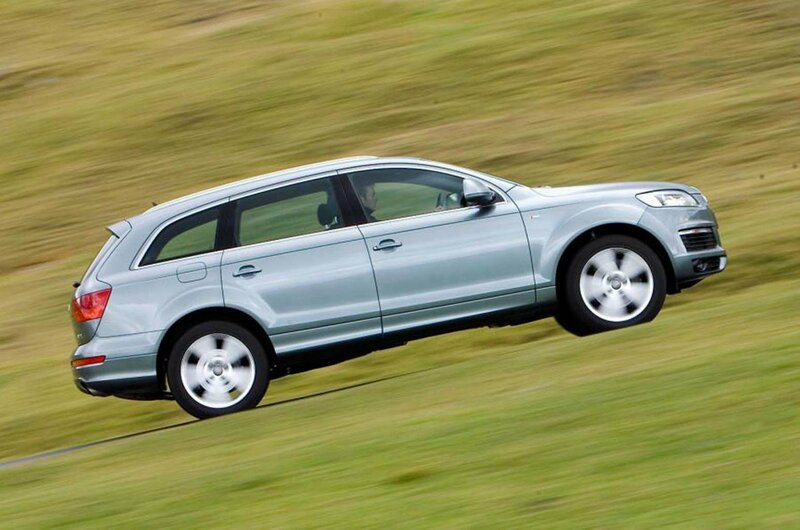 The Q7 is available only as an automatic. Entry-level models come with alloy wheels, climate and cruise control, while SE trim adds electrically adjustable, heated leather seats and enhanced cabin detailing. S-line cars get sports seats and trim.